Computers are fantastic when they are running quickly and smoothly, but as soon as they start to run slowly, they become extremely annoying and difficult to use. One of the most common problems for computers is the way in which they can take a very long time to boot up. This is a problem which mainly affects older computers but is a huge issue in general. You can actually fix this problem quite easily by following this simple tutorial. Computers that are slow to boot up have problems inside Windows which prevents them from loading all the files, settings and processes they need. Every time you load up your PC, it has to load up a series of different settings and files in order to bring up such options as your desktop background, theme options and your startup programs. The bottom-line of why computers take a long time to load is all down to how many files they have to open when they boot up, and how easy it is for your PC to read those files & settings. Computers that take a long time to load up do so because they have to process a series of corrupt, misplaced or damaged files & settings that take Windows longer to process, slowing it down. One of the biggest reasons why computers take a long time to load up is beacuse they have to load up many different programs at once. This is a big problem because it forces your computer to have to “multitask” and most PCs cannot do that very well. If you have several programs which appear when Windows loads, then you need to stop them. To do this, you need to use a ‘Startup Programs Manager‘ to stop many of the largest programs from loading when your computer does. To limit the impact that unwanted programs have on your PC, you should uninstall any program that you don’t want any more. There are a lot of programs which people have on their computers which run in the “background” of Windows (even whilst you aren’t using them) and cause it to run slower. Many of these programs load when your computer does, making it slow to boot up. To stop this being a problem, you should click on Start > Control Panel > Add / Remove Programs and then scan through the list and uninstall the software that you don’t need / want any more. You should remove any viruses or spyware that you have on your PC. Viruses can often load up when your computer does, causing it to run slower and with a lot of errors. To fix this problem, you need to download an antivirus program which will scan through your computer and remove any infections that could be causing to boot up slowly. If you can get a good antivirus program, then you can actually boost the speed of your PC a lot as most viruses use large amounts of CPU power to perform their bad deeds. 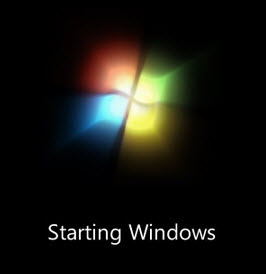 The ‘registry’ is actually one of the main parts of Windows which is called 100’s of times when your computer loads up. It contains 100’s of files and settings which aid Windows in remembering all sorts of information about your computer, such as what desktop wallpaper you have and what your latest emails are. However, if any of these settings are damaged or hard to read, then they could make your PC run a lot slower and take longer to boot up as Windows has to take longer to read them. You should download this registry cleaner and let it scan the registry – removing any damaged or corrupt files that are inside it. If it finds over 200 errors, then it should be able to boost your PC a lot.